The First Aid App by the British Red Cross definitely falls under the second group, and it is something that I believe everyone should download. The First Aid App is totally free – woohoo! – and contains vital information that can help save lives in case of emergency. 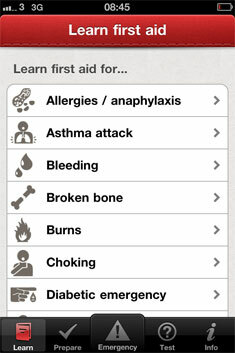 The First Aid App features 18 everyday first aid scenarios. For each scenario, simple and practical steps are given for the person to administer first aid. In addition to these scenarios, the First Aid App also provides handy tips on how to prepare for and deal with different kinds of emergencies – from winter weather to road accidents. With the addition of videos and interactive quizzes, the First Aid App makes for easier and more engaging learning. 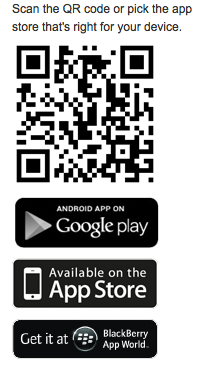 Again, the app is free, and all you need to do is scan the QR code below to download it. Alternatively, visit the app page here. Oh, and make sure you have a UK account for the iOS version. I have not been able to download the app for that reason. I sure hope the Red Cross can/will release a similar version in the US Store! There is an American Red Cross first aid app out also. I agree this is something everyone could do with having on their phones.